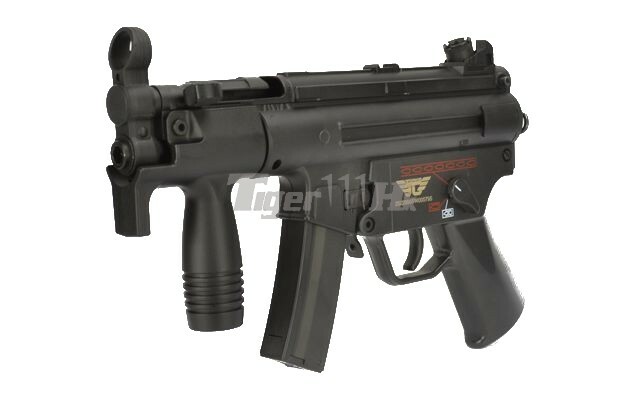 M5 Series is a 9mm submachine gun (SMG) family which developed by German in 1960s. 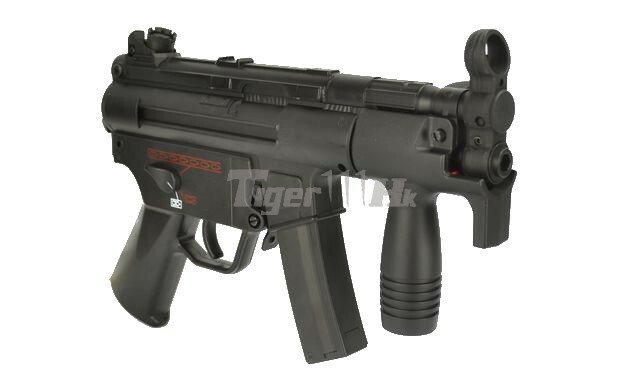 It is one of the most widely used SMG in the world, used by 40 nations and militaries, law enforcement and security organizations. 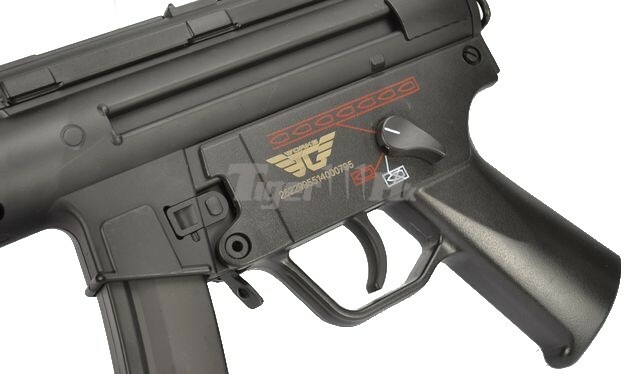 It has over 100 variants, including the semi-auto version and the K (Kurz) Series developed in 1976, which designed for close quarters battle used by clandestine operations and special missions. 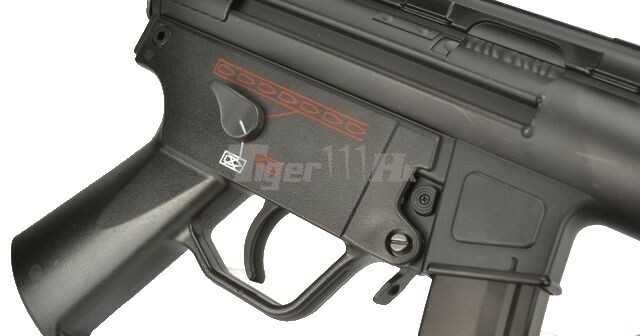 Metal front sight with flash hider. 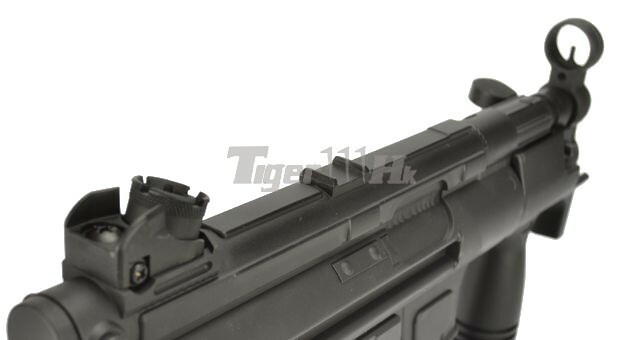 Metal made upper frame with front hand guard. 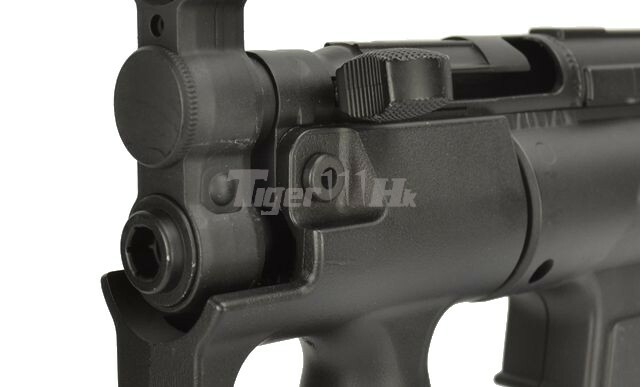 Navy style lower frame with ambi selector lever. Constructed of JG 6mm Ver 3 Metal Gear Box. Dummy Bolt lever which cannot move after battery install. 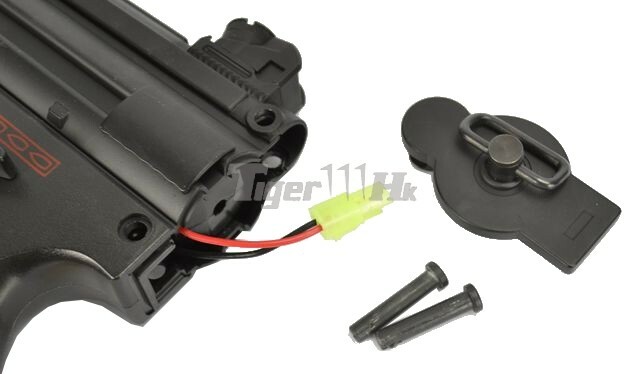 Upper body can store up to 8.4V stick type battery only (small plug). 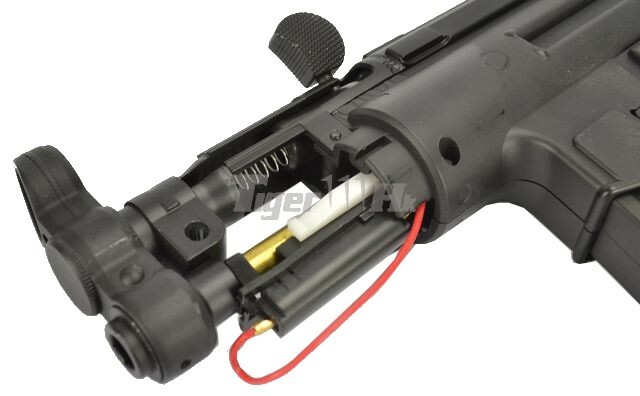 New battery installion method: ONLY remove the rear cap and place the battery directly into the upper body. Ready to go for 280 FPS (0.2g BB) without modification. 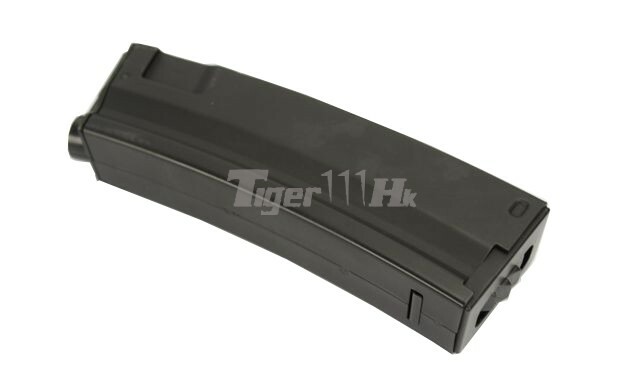 Included 90 rounds short type Hi-Cap Magazine. 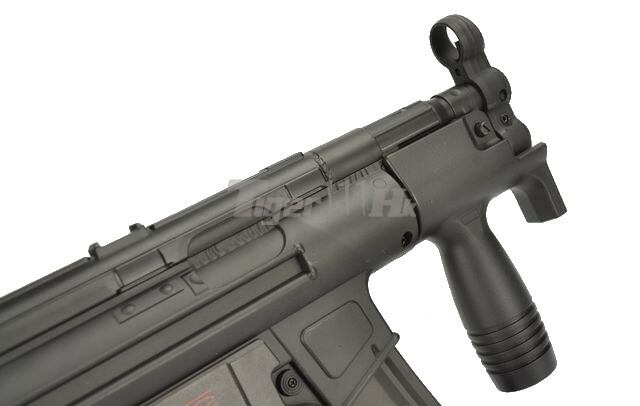 Compatible with JG 200 rds M5 Hi-cap Magazine and most of the MP5 mid-cap / high-cap magazine in market.